I grew up in Minneapolis, Minnesota - the land of 10 thousand lakes, Prince, and some of the coldest winters on the planet. I started working at age 19 as an editor, then branched out into several different disciplines. I shot unscripted tv, worked as a sound person, and directed music videos whenever I got the chance. And that was the ultimate goal, to direct. And for the last 10 years, that's what I've done. My directing experience ranges from unscripted music docs, music videos, brand spots, reality, and a narrative feature. I also built a creative production company with three friends from film school - 1LightFilms - which we started in a garage in South Minneapolis. 1LightFilms now serves clients like Buffalo Wild Wings, General Mills, Best Buy, and Polaris. I left the company after I moved to Los Angeles, but I will forever value the experience of building something so special with my best friends. What these experiences collectively taught me, is that all companies require something different out of their creative campaigns, but the reason we are here, is to help tell a story. The story of a person, a product, a brand, or a experience. Our goal as creatives, should be to create something that resonates with the individual, and moves them to act. 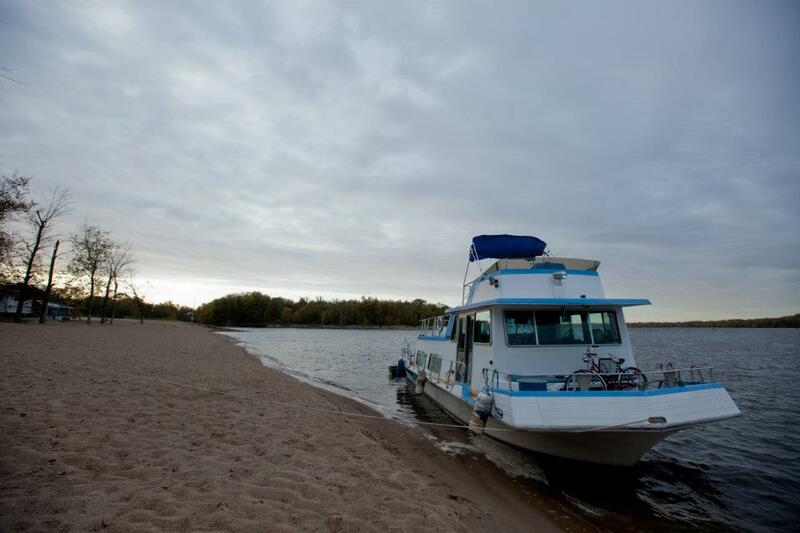 My wife, Dawn Brodey, and I used to live on a houseboat on the Mississippi River year-round, for years. (Article here) We even took a trip down the Mississippi in a houseboat, all the way down to Mobile Bay. Dawn wrote an amazing blog where you can read all about the trip HERE. We love the river. Kayaking in the summer, and cross country skiing in the winter. But personal and professional goals required a move. So, we decided to trade in the houseboat for a camper trailer and head west. We pulled into Los Angeles 4 years ago and can't imagine a life anywhere else. After a brief stint freelancing in town, I took a job at Netflix where I am currently a Creative Lead on the Marketing team for any and all titles, as well as brand projects. When not working, I'm hopefully out riding.